The Tiger Fund, which is composed of Jackson State University alumni and corporate partners, presented a check for $100,000 to the school for its athletics program during the 2015 football season. 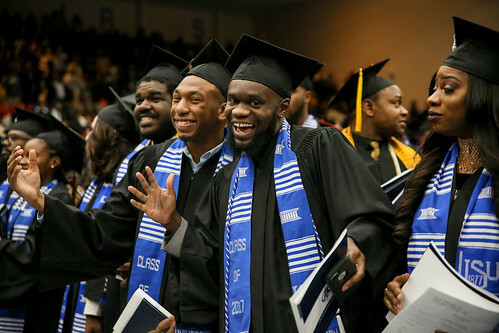 Since the Tiger Fund’s inception, more than $500,000 has been given to Jackson State to fund facility renovations, locker room upgrades, travel, supplemental equipment, technology and recruitment activities. Every championship ring won by a student-athlete since 2006 has been paid for by the Tiger Fund, according to Robert Cook, the organization’s president. “There are a number of things that the operating budget for JSU Athletics just does not cover. We step in and provide the dedicated and sustained giving that athletics can rely upon and budget for each year. I am pleased to say that we have never turned down a request or been unable to meet a requested need from JSU Athletics,” added Cook, an alumnus of the university. Robert Walker, former JSU interim director of athletics also commended the Tiger Fund donors. The mission of the Tiger Fund is to provide a foundation upon which JSU can build and maintain student athletic programs that are able to compete at the highest levels of national competition. Its vision is to provide substantial and continuous financial support while creating a fund in which at least 100 people or organizations contribute $1,000 per year to support JSU Athletics.